We hire skip bins to for all purposes to homeowners, builders, shops and all other clients throughout Connells Point and Kyle Bay. 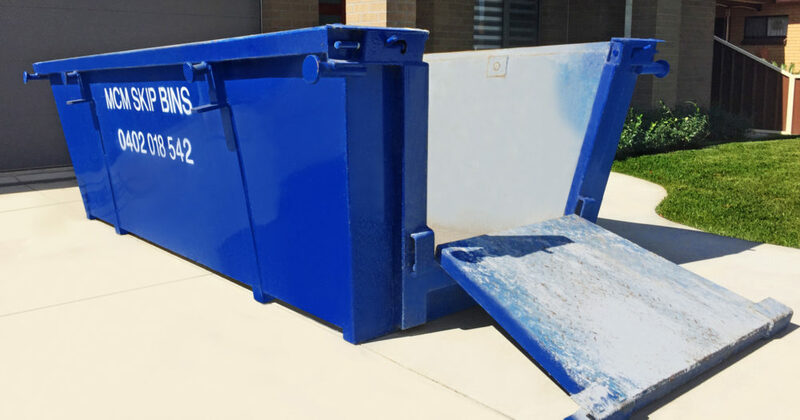 Do you need a fast and efficient way to hire a skip bins that will take just about any type of waste you need gone. You may be landscaping, renovating a bathroom or kitchen or putting on a whole second story. Perhaps you are moving house, or clearing out a deceased estate. Whatever you need gone our wide range of skip bins can take your waste. Sizes are three, four, six or eight cubic metres. You benefit from our experience of over 15 years. Our team will work with you to help you determine the right size bin to accommodate your waste and where to place it. We know all the right questions to ask to get to know your specific needs. We guarantee that we will arrive at your location in Connells Point and Kyle Bay on time and that your bin will be neat, tidy and ready to go. We recognise that there are many options when it comes to skip bin hire, but we can assure you that we are the best choice. Our landfills are under a huge amount of pressure. We do everything possible to minimise our impact in this area. Your skip bin will be sorted and the appropriate materials recycled only adding to our landfills when it is necessary. It’s not just in the area of our skip service that we excel, but in our customer service as well. We value our clients and do everything possible to ensure their satisfaction. From the moment you first get in touch with us you will experience our expert advice and clear communication addressing your every need. We’ll answer all of your questions and guide you in choosing the most appropriate skip bin to meet your requirements. We are always available when you need us most. Connells Point and Kyle Bay are both approximately 20km south of Sydney centre in the St George Area. Tree lined streets present beautiful homes on peninsulas surrounded by the popular waterways of the Georges River. Local schools are Connells Point Pubic School, Bald Face Public School, Blakehurst High School and Mater Dei Catholic Primary School. Peacock Trattoria is a very popular restaurant in Kyle Bay serving rustic Italian food for many years. Blakehurst Bowling Club is also nestled in the quiet streets of Kyle Bay. Connells Point has its own football club the Connells Point Rovers, and Connells Point Sailing Club and Kyle Bay Sea Scouts take full advantage of the beautiful waterways surrounding these communities. It is common for homes in Connells Point and Kyle Bay to undergo renovations like new bathrooms, kitchen and extensions creating more space. Our fast and easy skip bin hire is available for these and any other waste removal needed.